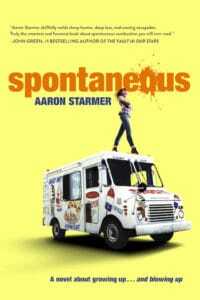 Spontaneous by Aaron Starmer is the story of Mara Carlyle’s senior year, which starts off with a bang when one of her classmates spontaneously combusts during third period – and turns into a yearlong roller coaster as more students go pop. 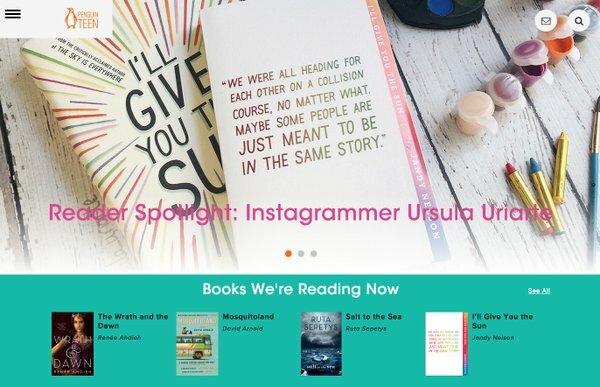 Penguin Young Readers just launched PenguinTeen.com, a dynamic and immersive new lifestyle site for teen book lovers. Exclusive news, excerpt and cover reveals. The site currently includes Aaron Starmer’s highly-buzzed Young Redears debut, Spontaneous, which comes out August 30th. See excerpt HERE. Exclusive videos and written content on from authors including Marie Lu, Richelle Mead, Sarah Dessen, Rick Yancey among many others. “Reader Love,” a section that highlights submissions from fans and digital book influencers including Booktubers, Bloggers and Bookstagramers. “Find Books You’ll Love,” a user-friendly book-finder tool that helps readers discover new books and authors. Penguin Young Readers unite the best authors, illustrators, and brands from the Penguin Young Readers Group under one umbrella. Including a comprehensive mix of esteemed authors, favorite characters, nonfiction, and licensed properties, Penguin Young Readers feature a traditional numbered leveling system, as well as the Guided Reading leveling system, to ensure quick recognition for educators, parents, and kids. This entry was posted in For Teens, Parenting Teens, Teaching & Education Tips, Technology and tagged books, kids reading, Parenting Teens, PenguinTeen.com, teen books. Bookmark the permalink.